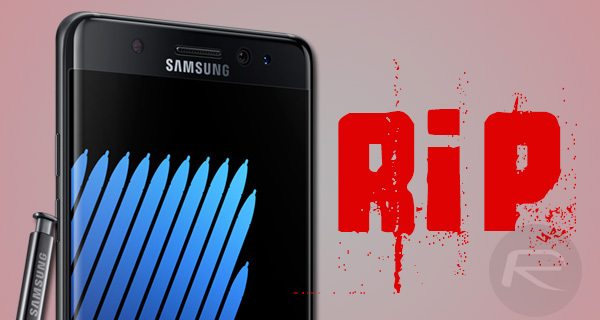 After pulling the plug on worldwide sales of Galaxy Note 7 yesterday, Samsung today has announced that it is permanently discontinuing the production of its now infamous flagship smartphone. After initially issuing a worldwide recall and then attempting to deal with the fallout that has come attached with the defective Galaxy Note 7 with replacement units which too were found to have the same problem as original, Samsung has killed the device for good, citing customer safety as the number one overriding reason. The South Korean company had previously made the announcement that it was temporarily halting production of the range while it investigates the cause of the problem which was affecting both original launch units and supposedly ‘safe’ replacement units. This permanent termination of production supersedes that announcement. Sales of Galaxy Note 7 may have ended, so has the production, but many Note 7 units are still out in the wild in consumers hands which not puts their life at risk, but also of the people and property around them. As such, Samsung is still urging all Galaxy Note 7 owners to power down their device immediately to best alleviate any fears of the device spontaneously combusting and exchange it with any other phone. Most carriers, which includes AT&T, T-Mobile, Verizon, Sprint, and even retail partners, are also advising customers of doing the same as soon as possible. It’s probably fair to suggest that even though Samsung has had very well publicized problems with the Galaxy Note 7 range, it was likely assumed that the company would turn the issues around and rectify the problem with replacement hardware. This announcement clearly suggests that things haven’t exactly gone as Samsung had intended. Following this news, Samsung’s shares are already down 7%. 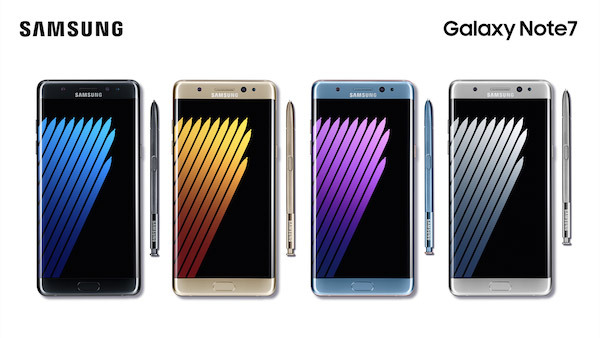 The company is expected to take a whopping $17 billion hit due its disastrous Note 7 launch. As for alternatives to Galaxy Note 7, fortunately we are in that time of the year where there are plenty of flagship smartphone options available, including Samsung’s own Galaxy S7 series, Apple’s iPhone 7 and iPhone 7 Plus range, HTC’s 10, Google’s upcoming Pixel and Pixel XL, among others. What can you say? Pretty much ended with a bang! Worst Smartphone Flagship launch ever. 17billion in the hole on this one, I hope they can recover quickly from this disaster. sad…less competition means less motivation for apple…. Yep, with all the litigation costs along with it(even more costly). The children and people who were physically burned, properties destroyed. Class action for the wasted time returning and not having a phone to use. Fun stuff for Samsung, not. And lest we forget the exploding Samsung washing machines. That’s what happens, when you try to go too fast to beat a rival maybe next time they will not f…k with test and quality control. Samsung will hand 10 million X8/Edge/Book (the Galaxy S series and the Note died with the Note 7) for free as a good will.